The beauty queen of Bollywood, Aishwarya Rai Bachchan turned 45. The beauty queen of Bollywood, Aishwarya Rai Bachchan turned 45. The Bollywood diva has made her mark in the industry after she won the Miss World crown in 1994. Since then she has a huge fan following. With hit movies like Hum Dil De Chuke Sanam, Taal, Guru, Jodha Akhbar, and Devdas, the actress proved the B-town that she is the master of grace and acting. Aishwarya’s hubby Abhishek took to his official Instagram account to share a cute picture photograph of himself with Aishwarya. Aishwarya can be seen resting on Abhishek's shoulder in the adorable picture. "Happy birthday wife. I love you! My happy place," he captioned the picture. 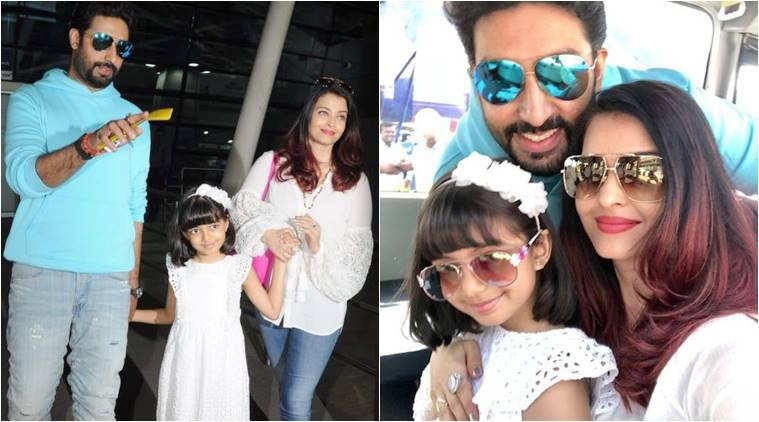 Talking about the birthday celebration, Aishwarya spent her quality time with husband Abhishek and daughter Aaradhya as the family went for a family vacation. The couple got married in 2007 and their love for each other was seen when recently Abhishek Bachchan on the occasion of Karwa Chauth observed fast with Aishwarya. This shows the cute bond between them. On the work front, Abhishek and Aishwarya worked together in the movie Raavan, however, the love story between them started when started working for the movie Guru. While the fans across the country were waiting to see the couple together on the big screens, they gave a surprise to the fans as they announced that they would be working on a film together soon. Both of them will be seen together in the upcoming film Gulab Jamun directed by Sarvesh Mewara and produced by Anurag Kashyap.